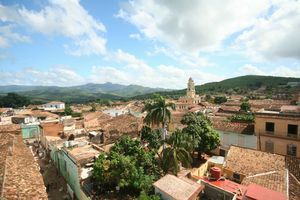 Explore the province of Sancti Spíritus and get to know its touristic attractions so you will not miss any in your way through Cuba. 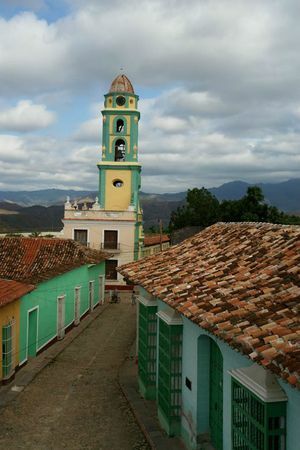 These are some of the most interesting places of Sancti Spíritus, do not leave without visiting them on your way through the province. 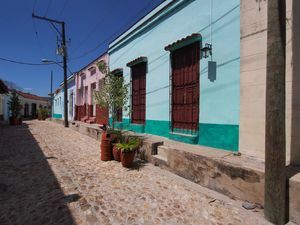 Feel the Cuban history by having a walk through the calm colonial town of Sancti Spírtus, which will trap you with its legends and traditions. 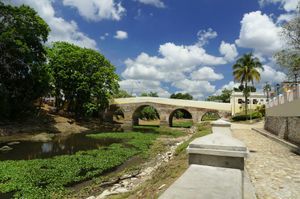 Cross the Yayabo River through this historic bridge and discover why it is a symbol of the Sancti Spíritus City. 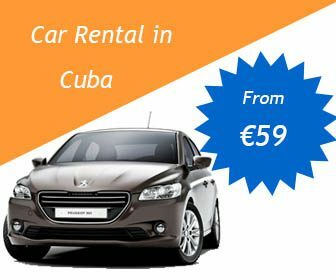 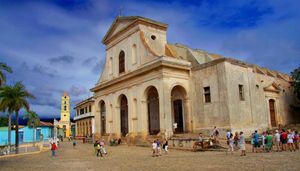 Get to know the Major Parish Church, the oldest one in Cuba and the most visited one by the international tourism, a true colonial jewel of the country. 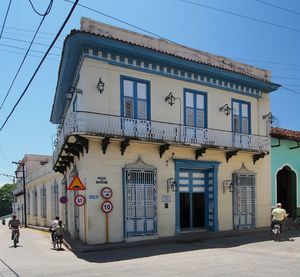 Get to know the colonial colonial Cuban history through the most fascinating objects, paintings and furniture of the Colonial Art Museum. 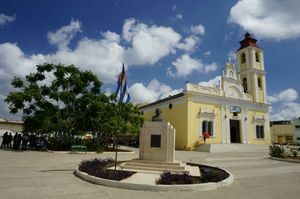 Get to know the history of the city through collections exhibited in the Sancti Spíritus History Provincial Museum. 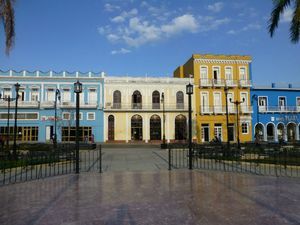 Get inside the heart of the city through the Serafín Sánchez Park, the amusement, culture and commercial place of the city. 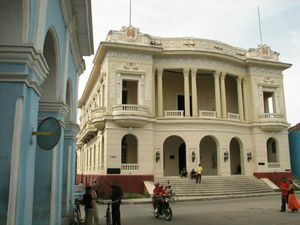 Admire the beauty and cultural projection of this Neoclassic building, the Biblioteca Provincial Rubén Martínez Villena Library. 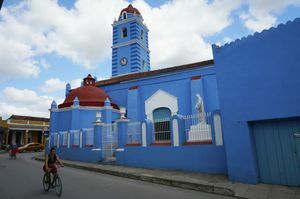 Admire the Igreja de Nuestra Señora de la Caridad Parish Church and the famous image of the main facade. 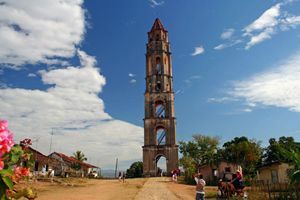 Discover the wealth and inside art of the Iglesia Mayor de la Santísima Trinidad Church, one of the biggest temples in Cuba. 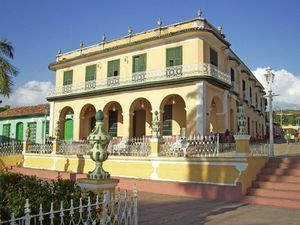 Get to know one of the most beautiful palaces in Cuba, the Sancti Spíritus Romantic Museum and enjoy its beautiful Andalucian courtyard. 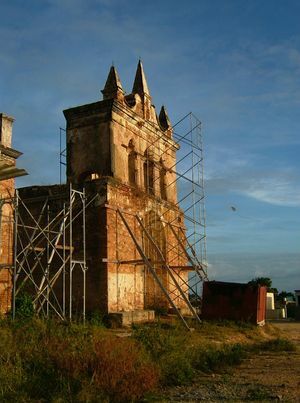 Do not miss the best views in Trinidad from the tower of the Municipal Museum after diving in its history. 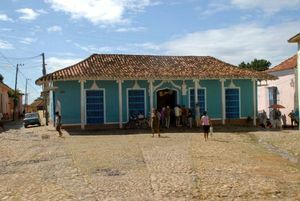 Get to know La Lucha Contra Bandidos National Museum, a fascinating place where you can learn everything about the Cuban independence process. 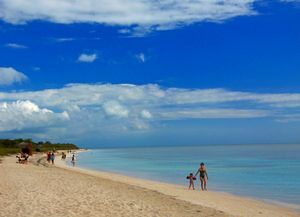 Delight with the good Cuban music in one of the best places in Trinidad, in addition to meet the Cuban musical development through its exhibition. 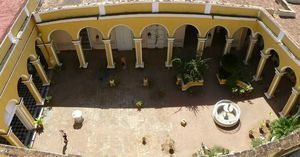 Come to know Benito Ortiz Universal Art Gallery and have a look at extraordinary embroidery, cerámics and local jewelry which is exhibited. 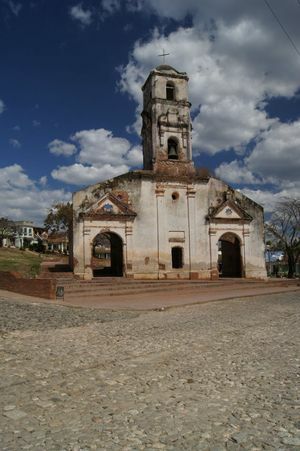 Have a walk by the suburbs of the Iglesia de Santa Ana Church and admire its fascinating 18th century ruins. 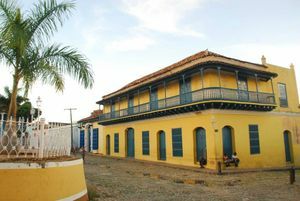 Visit the Casa del Alfarero de Trinidad Potter House and discover the abilities of the craftsmen transmitted through generations. 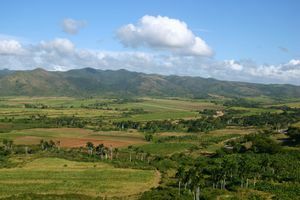 Enjoy one of the best views of Sancti Spíritus from the Cerro de Vigía Hill just half an hou away from Trinidad. 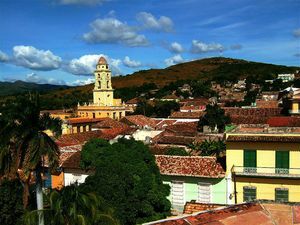 Have a look at the sunset in Trinidad from the top of the former Ermita de Nuestra Señora de la Candelaria de la Popa Shrine. 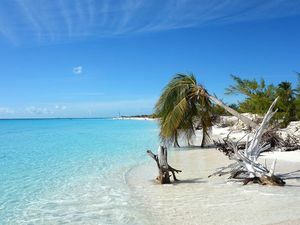 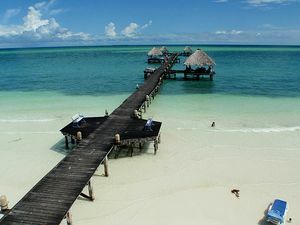 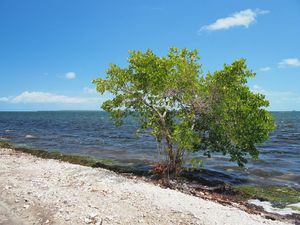 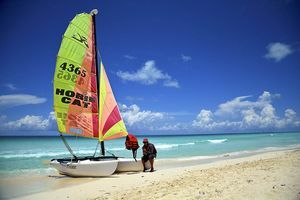 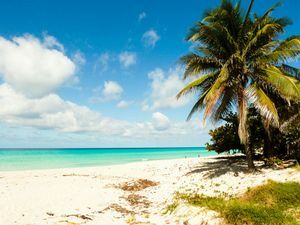 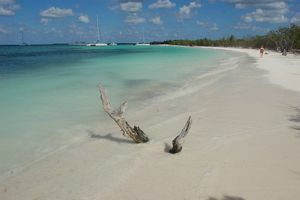 Get to know the history of the Old Germany by visiting the wonderful Blanco Cay, bathed by the Caribbean's warm waters. 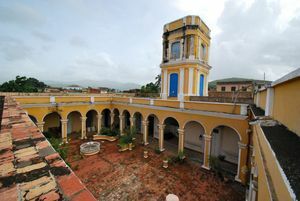 Discover this unique treasure in the development of the sugar industry where there is a mix of monuments, society and nature, declared World Heritage. 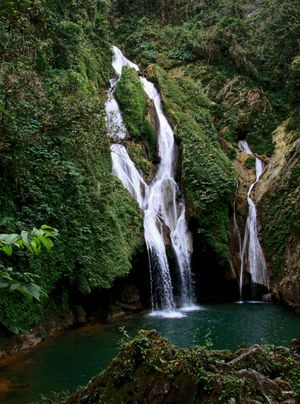 Enjoy Cuban natural paradise on its purest form in Topes de Collantes and visit its numerous attractions. 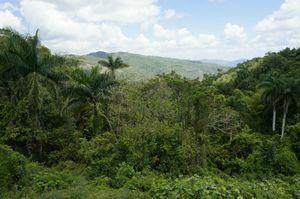 Get to know the Che Guevara’s basis camp set up in Sierra de Escambray Range while you enjoy the Cuban nature. 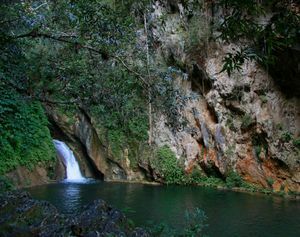 Enjoy a nice day meeting the natural, landscape and archeological value of the Caguanes National Park. 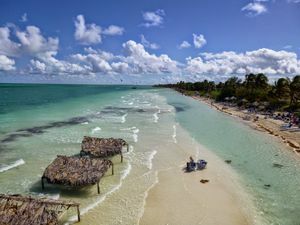 Visit the Ancón Beach and enjoy its thick sand as well as its excellent marin bottoms.